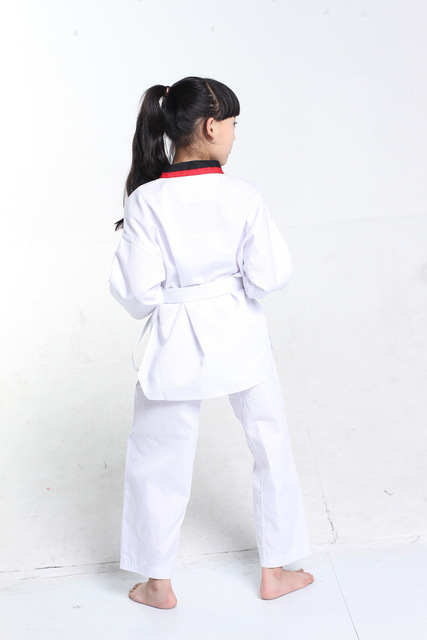 Taekwondo Dobok for children and young people. 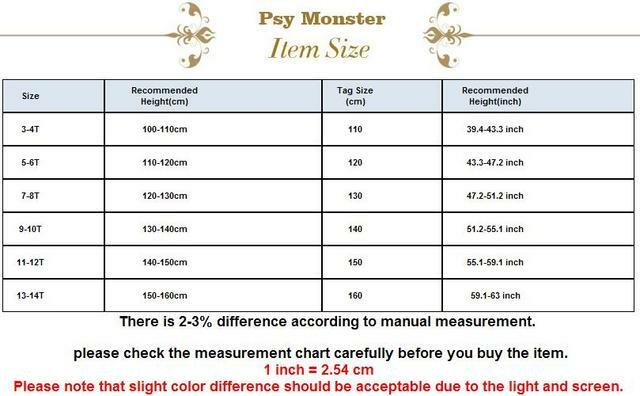 Good quality, low price, different sizes available, with long or short pants. Initially the Doboks were made only in white. From 1970 a distinction was introduced for the doboks worn by the Black Belts. 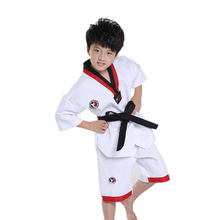 The uniform of the Black Belts has a black V-neck, like the belt. 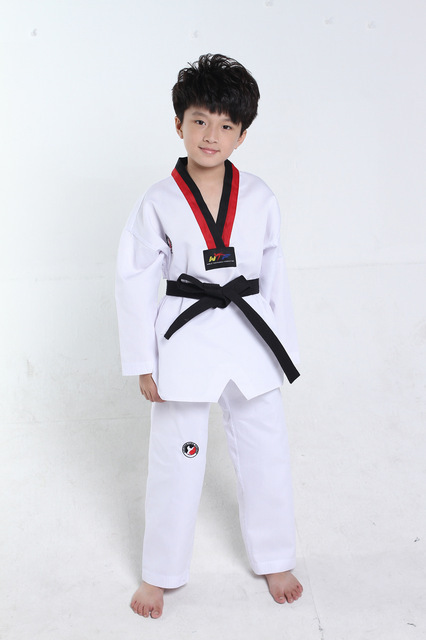 The uniform worn instead by the Poom Belts (ie the Black Belt degree of those who have not yet turned 15) has a black and red V-neck. All other grades use the white V-neck. The white color represents the universe: according to the Korean philosophy the origin of the universe is the number one (Han), which in turn is born from the white color.